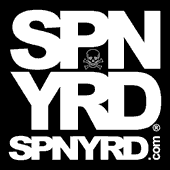 This is the official website of SPNYRD. DJ & Producer | Deep-, Melodic- to Dark Techno | Hamburg, Germany. Orig. a native or inhabitant of Spain. [in this case] – It’s just my name. My recording of ‘SPNYRD b2b Daniel Warzecha @ Uebel und Gef&aml;hrlich, Hamburg – Support for LEN FAKI – 3.5h DJ-Set’ – Now available on Soundcloud & Mixcloud!!! Please sign up if you want to get updates about new mixes, upcomming gigs, news, etc. Please click the “Book me”-button to send me your booking request. Thx! Copyright by SPNYRD - Jan F.J. Spanier.